All photos courtesy of Hotel Vitale. 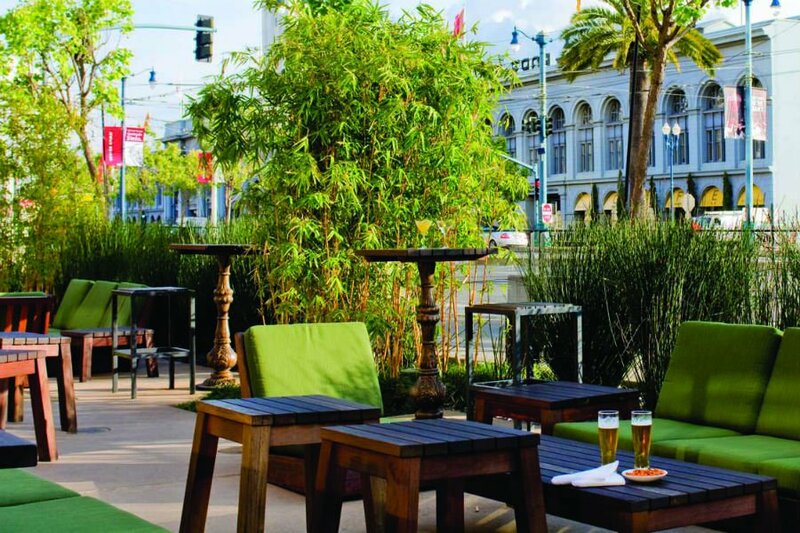 When I first stayed at the Hotel Vitale, over a decade ago, it was a calm oasis in the middle of a boutique hotel desert in San Francisco. It's location on the Embarcadero, a shoreline promenade with touristy attractions and legitimately terrific farmers market and Ferry Building food stalls, was also close to the starting and finish lines for the SF Marathon, which I was in town to run. I remember the sheer sense of post-race gratitude for the proximity to a hot shower and celebratory meal across the street. But the soaking tub on the hotel's rooftop really seared the place in my memory. 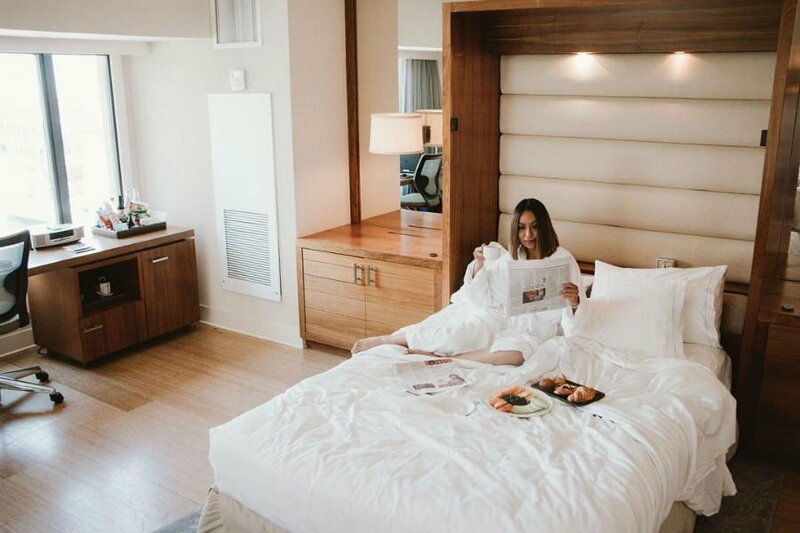 Since then, the city has gained a few chic, contemporary hotels in the boutique market, but this Joie de Vivre property still has a great bang for the buck: Whether you're in town for business, pleasure, athleisure, or some combination of them all, the location is pretty unbeatable. Never have a bad vacation again. Subscribe to our newsletter. Style: West Coast Adult Contemporary — there's nothing sceney or trendy or particularly cool. It's grown-up in a good locale. Standout Detail: The splurge-y penthouse-level spa, with its sweeping views of San Francisco Bay, rooftop bamboo garden, and outdoor soaking tubs. For being in the middle of the urban jungle, it's decidedly chill. 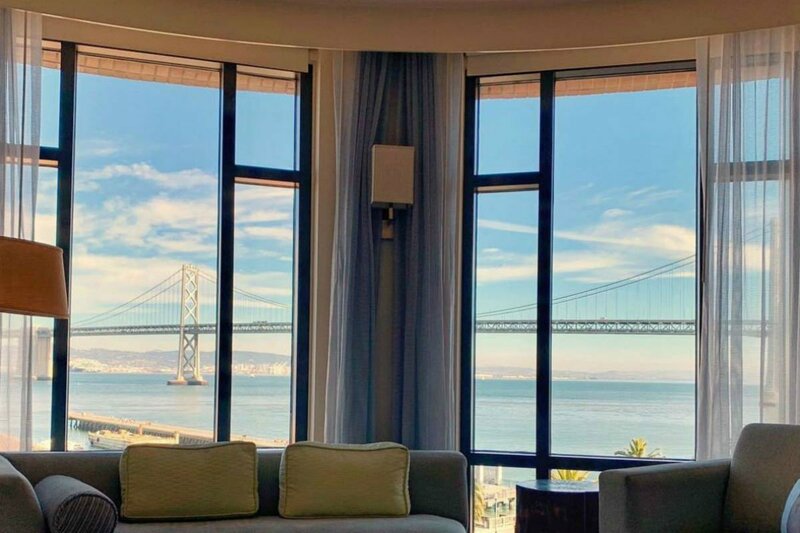 This Place Is Perfect For: Spa fanatics, travelers with pets, first-timers who want to feel close to major attractions, like the farmers market, Ferry Building, ferry to Alcatraz, and activities on the Bay. Rooms: The soothing spa-like palette underscores the hotel's dedication to relaxation. All rooms have limestone bathrooms, honor bars, and a large desk with ergonomic chairs (so you can actually get real work done). Some rooms could use a refresh — room types range from city view to waterfront view, and there are a handful of terraced suites with lounge furniture and heat lamps. On Site: No-nonsense space for meetings, venues for weddings and large group events, penthouse spa, million-dollar water views, and valet parking. 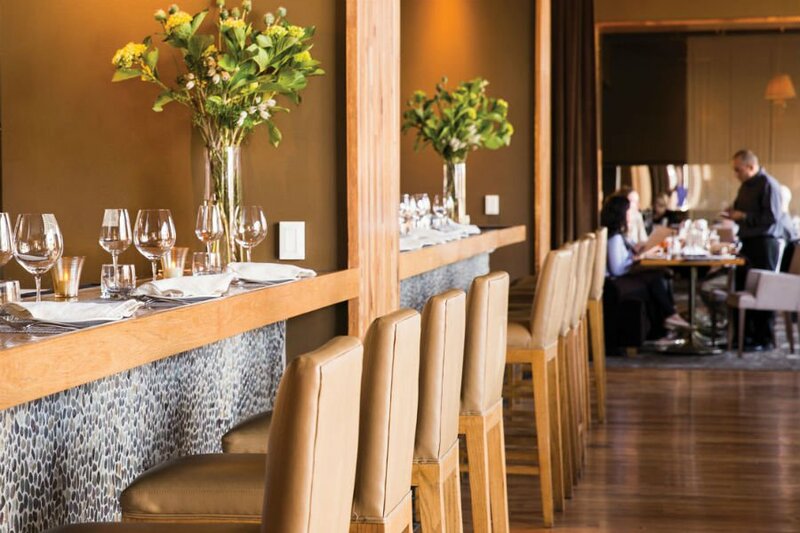 Food + Drink: Americano Restaurant & Bar, Italian menu rooted in San Francisco purveyors. They recently revamped the in-room snacks, focusing on locally made granola, jerky, cookies, beer, and wine. Rates change seasonally and start at $299. Click here for reservations. Or reach out to the Fathom Travel Concierge and we can book your trip for you. 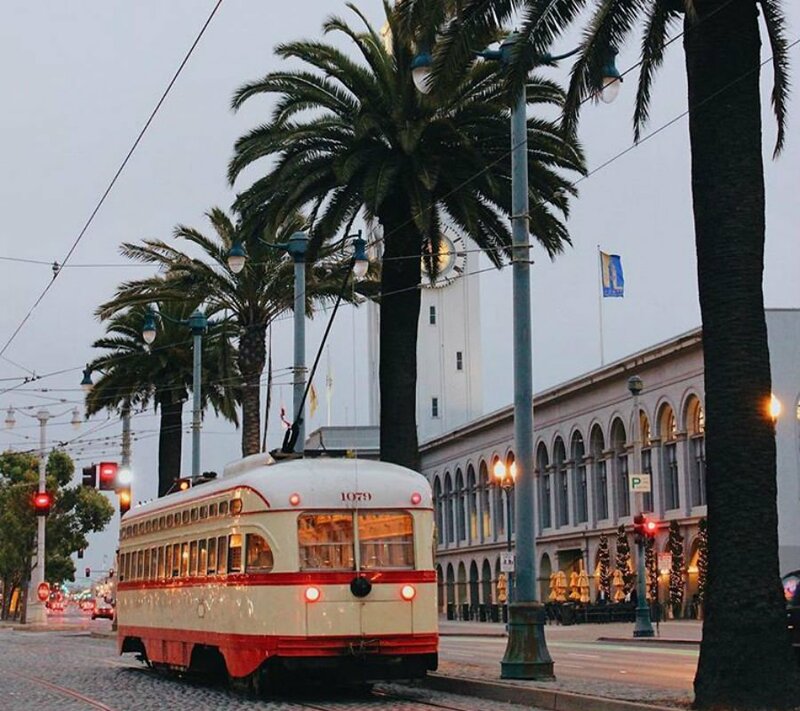 San Francisco's iconic shoreline is a great base for exploring the city. The 1898 Ferry Building right across the street is a major draw for food lovers. 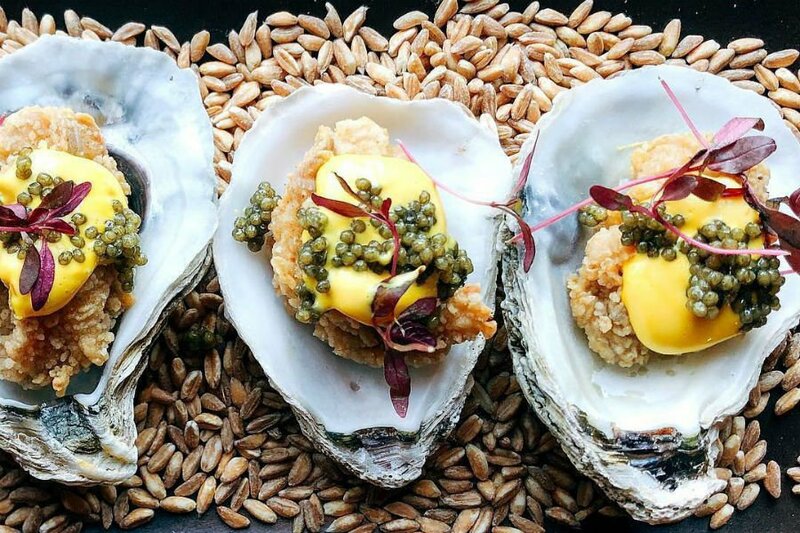 Gourmet shops are home to local purveyors like Cowgirl Creamery, Golden Gate Meat Company, Acme Bread, Dandelion Chocolate, Humphry Slocombe ice cream, and Hog Island Oyster Co. Acclaimed restaurants like The Slanted Door, Angler, and Boulettes Larder are destinations in themselves. Give yourself plenty of time (and plenty of appetite) to peruse the stalls and food stands on Farmers Market days (Tuesday/Thursday/Saturday) , which are big for locals and tourists alike. Work off all the calories with a nice, long stroll along the promenade. Spend a rainy afternoon at the interactive Exploratorium or ferry out to Alcatraz Island in San Francisco Bay.